As human beings, our entire life is built off of relationships. No matter what the relationship may be, (business, family, romantic, etc.) every relationship has a set of core principles to building and sustaining a solid and healthy foundation. 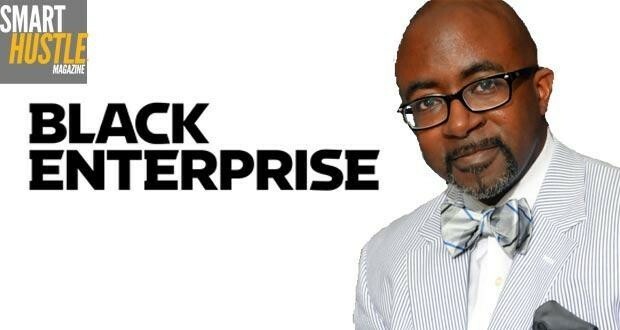 I don't know anyone who understands this better than Alfred Edmond Jr., Senior Vice President and Chief Content Editor of Black Enterprise as well as Co-Author of "Loving in the Grown Zone". His novel, which focuses on personal growth, highlights how to build healthy relationships with honor, esteem and respect. During our interview, Alfred shared how every relationship must be built on a healthy, sustainable foundation and the surprising correlations between business and romantic relationships. Nobody (or hopefully nobody) gets married with the intention of getting a divorce. However the divorve rate being greater that 50% in the U.S., the odds are against most marriages and their happily ever after. Unfortunately, due to this, Alfrred shares that a shocking amount of businesses are destroyed by failed marriages because businesses are included as an asset in a divorce. On the contrary of your business being destroyed by your romatic relationships, your business can also thrive. Having the support and stability of a partner or spouse, allows you to focus on what's important and gain stability in your personal and business life. "The last things you give up to get/keep a relationship is access to your body, money, heart or your home. Most of the time when there's a disaster it's because you surrendered one of these things prematurely." Check out the interview to learn more about building a sustainable relationship and the correlations between your romantic relationships and your business.